Monthly Yarn Sale: Lindy Chain! Lindy Chain is 20% off for the month of February! Perfect for warm weather knits like tanks, tops, shawls, and even home decor, Lindy Chain is our go-to for classic comfort and unbeatable drape. Linen adds a crisp stitch definition that shows off texture and sheen to projects that just gets softer with every wash. Available in 20 stunning shades that range from rich hues to soft pastels, read on to see some of our favorite projects! 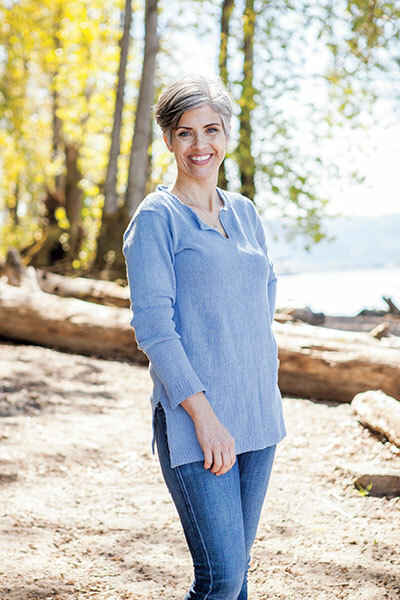 The Lantern Light Tunic features long sleeves, tunic-length split hem and a simple silhouette for easy wearing in any season. I love the idea of pairing this top with leggings and boots for a quick brunch date or wearing it as a swimsuit cover-up at the beach. Lindy Chain blocks beautifully for crisp motifs with great stitch definition. Break out those crochet hooks to whip up a Garden Lattice runner in any of Lindy Chain’s cheerful colors. Pretty puff stitches remind me of spring blooms sprinkled throughout and with just two balls you can crochet a 10″ x 30″ runner in no time! 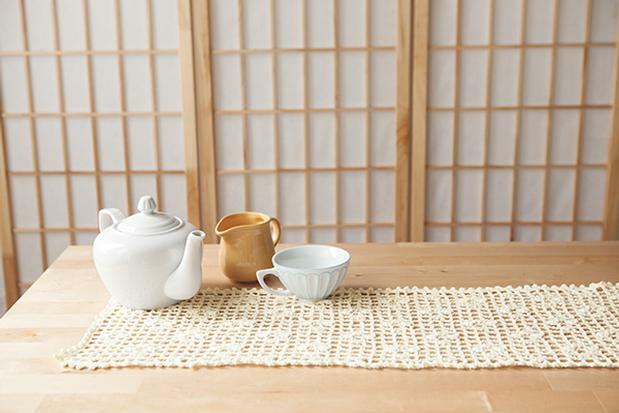 Our Sunday Morning pattern collection features two tops in this excellent yarn. Patou Pullover is my favorite with a loose fit, scalloped band and this surprising neck detail. This blend of cotton and linen means that knit garments stay surprisingly crisp and are hard to wrinkle during a day of wear. 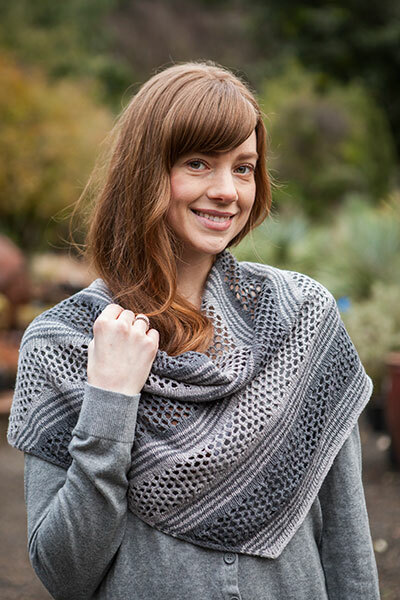 Lastly, Bekah Knits’ Catamaran shawl features two colors of Lindy Chain in bands of eyelets and stripes for an easy-to-knit accessory. Try pairing two contrasting colors or tonals as in our sample for very different effects. Lindy Chain is only on sale at 20% off for the month of February so don’t wait to order for your next spring project! See the full range of 26 colors here.